I am a work-at-home mom with three children. Trust me, I know a thing or two about stress. Stress is a killer and I mean that both figuratively and literally. Sometimes I tell my husband that I am losing my mind and I’m not so sure that I’m joking anymore. It’s a lot to handle. Did I mention that I’m the primary breadwinner for the family? All of this has required me to do a little bit of reading about stress management lately because I don’t want to always feel like I’m one step away from a full-blown collapse. Are you with me on this????? Fear not! There are a few things you can do to help ease your mind. These stress management tips have all worked for me in the past and I continue to practice them to date. If you are new to the blog, allow me to paint a very quick picture for you. My husband and I both work from home and have done so since 2007. Balance is a word that I absolutely hate, but it’s something that we always try to achieve. When I have a ton of deadlines, he tries to manage the kids and vice versa. However, we all know that theory always works better than reality. So, stress management is something that I have to focus on daily. While I love what I do with all of my heart, it does take a toll on me. Settle into a routine: I need a routine and I don’t like to stray from it. I wake up and know exactly what has to happen and in what order. This information offers some peace of mind. If – instead – I tackled each day wearing blindfolds, I think I would begin every morning with a very different attitude. A routine makes all the difference. Get a soundtrack: Stress management begins with some of my favorite music. No, seriously. For the last few months, I stopped listening to my playlists while working and it mentally affected me in a very negative way. I need my tunes. I was driving over the weekend and realized something that I will never forget. There are three things that settle my soul – church, music, and quality downtime with my family. Those are the only three things that can reset my button. It’s 100% true. Get up early if need be, but try not to work around the kids: Two of my children are in school full-time, but my third gets home at 12pm. This is a difficult situation to be in because I still have so much to do after he walks through the door. How do I combat this situation? Sometimes I lose. I’m not going to lie. But most of the time, I try to wake up before everyone else in the house and steal a few extra hours of work before our actual day begins. It’s the only way to stay ahead of myself. Otherwise, I end up ignoring him until 3PM when the rest of the gang comes home and that’s just not ideal. If it needs to happen because of insane deadlines, then that’s just life, folks. Caleb will color next to me while I am working on a video because in the end, our mortgage needs to get paid. This is the only way we make money. Our children understand the situation to the best of their ability. 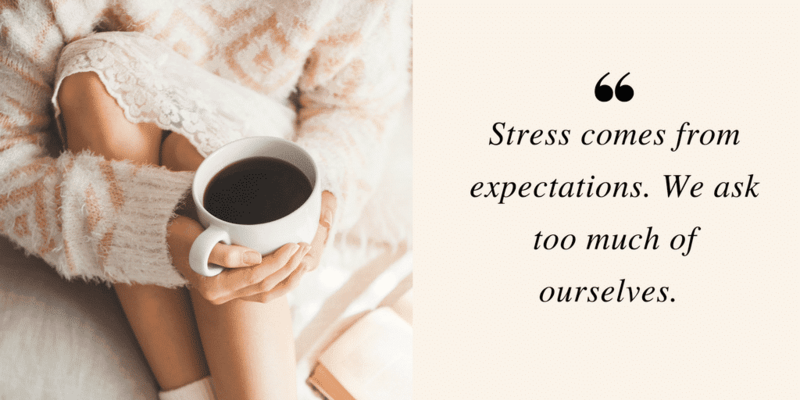 We do the best we can… and that leads up to my very next stress management tip. Forgive yourself: We are very hard on ourselves. I think a lot of stress comes from expectations. We ask too much of ourselves. We cannot be all things to all people. We cannot be a Pinterest mom while being the breadwinner for our family while training for a marathon while having an actual social life! Guess what – it’s literally not possible. It doesn’t all fit. I hate to tell you, but you are going to have to choose a few and let go of the rest. And then… forgive yourself for letting those go. It’s hard to hear. When I first married my husband, I used to cook these amazing meals. With cookbooks! Like actual recipes! WHAT????? I would follow the instructions and I would make a mess in my kitchen and I would set the table with candles and it would all be so divine. We’d have so much fun. Mind you – I had an amazing job! I was a business consultant for Accenture. So, I worked pretty long days, but I still found a way to squeeze in a souffle. I found a way to make that work. However, when I added children into the mix… everything fell apart. I couldn’t swing it. I couldn’t have a job and make restaurant-quality meals and love on my children while giving them everything that they needed. So now, I just throw together whatever I can like an Iron-Chef and hope for the best. It took me several years… but I forgave myself. I can’t make a lasagna every Monday. I just can’t! But grilled chicken with white rice and broccoli? That I can do. And it’s ok! Dessert is now an ice pop instead of Baked Alaska and I bet my kids are happier because of it!!! Unplug: I have a really hard time of letting go of work. That is my nature. I actually believe it’s part of what makes me so successful. But it all comes at a cost. While watching TV at night, something prompts me to open up my computer and fix something in a post I wrote 6-hours before. Or while sleeping I remember that I haven’t shared something on Facebook in a while – so I open up my browser and scan for something funny. My mind is always on and borderline manic. I am filled with anxiety 24-hours a day. I need to learn how to unplug more to help me personally with stress management because if I never let go of work then how can I ever get into a relaxed state??? Don’t be like me. Shut your computer and walk away. This is one of my greatest downfalls when it comes to stress management. 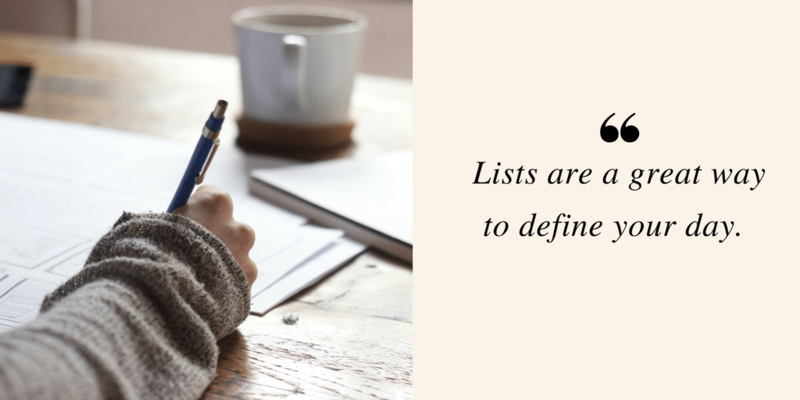 Make a list: Lists are a great way to define your day. I use them all the time to block out segments of my mornings and afternoons. If you take a few minutes and unload your mental to-do onto a piece of paper, you can be sure that you aren’t going to leave out anything critical. Don’t say yes to everything: OOFH! Another hard one for me to accept completely. Stop saying yes to everything. When you say yes to everything, you undervalue yourself and you stretch yourself too thin. I am going to tell you a quick story about something that just happened. I was invited to review something a few months ago for the blog. They offered me a set rate and it was well below my standard fee. The requirements would have taken me out of state as well. Well, I wrote back and firmly asked for 10X what they were asking. I said that it wasn’t possible for me to do it for less because… it wasn’t. I knew that I was going to spend a good 6 hours working on this campaign. Truth be told, because the original rate was so low, I didn’t think I would hear from the PR firm again. But do you know what happened? They met my rate. Don’t say yes to everything. Know your worth. And if your worth isn’t met, just say no. Don’t ignore your feelings: Part of stress management is being able to feel it when it starts to creep up on you. Are you getting snippy with everyone? Are you feeling frazzled? Are your everyday tasks starting to get harder and harder? These are all signs that you are starting to get overwhelmed! Stay plugged into yourself. Practice self-care: Take the long, hot shower. Get the massage. Sleep for 10-hours. Drink your favorite cup of tea in the morning. Sit outside for a few minutes every single day and breathe in some fresh air. Go out for a walk. Meet up with a girlfriend for coffee. Read your favorite book. Sit quietly in a room. Schedule a well-visit with your doctor. Do whatever you love to do and do it often. It’s not about spending money. It’s about finding joy. Make sure that you find joy daily because you deserve. We all do. Walk away: Hear me out. Stress management sometimes means that you just have to remove yourself from the situation for a little bit. And that’s ok. I don’t mean to physically walk away and leave your house because that’s not always possible when you are a work-at-home mom. I just mean that if a project is a bit too overwhelming or if a child is giving you too much grief or if your husband is not quite understanding what is happening, then leave it on the table for another day. We have to remain sane for the sake of families. If we fall, the whole ship goes down. If you feel – even if just for a moment – that it is too much to handle and you are not strong enough in that instance to handle it – then walk away. Gather your strength and approach it again when you are ready. This is real life! Deal with it when you can. Talk to someone you trust: We all need a friend that we can lean on when things get too intense. Stress management should always include a confidant. You need a release – and I don’t mean your Facebook status update. I mean a literal friend! Social media boundaries: I want to write an entirely different post about this, but social media really isn’t doing anybody any good – is it? Not only does it take away from our precious time during the day, but it makes us think we don’t have enough or do enough. I’m not pretty like HER. I don’t travel like HER. My house isn’t as clean as HERS. My dinner doesn’t look as good as HERS. Well, who really cares? On top of that – all those quick little breaks we take to “check in” truly add up. And the more we subtract from our allotted work map, the more stressed out we become. Less Twitter and more whatever it is you do in real life. 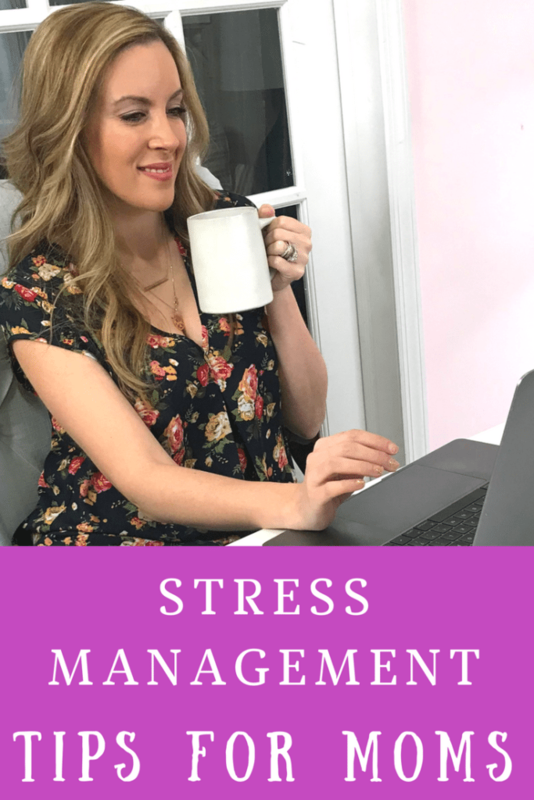 Ready for a Stress Management Giveaway? In order to jumpstart your stress management routine, I have a $25 Amazon gift card to give away to one reader. This gift card can be used to purchase a planner and a candle or whatever you feel like you need to help with your stress management at home. To enter, be sure to use the form below. You have one week to enter. US residents only. Good luck! Do you have any stress management tips that you’d like to share? Leave them below. I would love to hear from you. The more we share the better. To see more contests that I have live on the blog, click here. Make time to take a walk outside. I use a foam roller before bed each night to relieve tense spots, sleep better, and reduce stress! I can so relate! I too used to cook restaurant-worthy meals before kids, now it’s shredded chicken in tacos, nachos, soups, casseroles, and salads. Sometimes it’s cereal for dinner; seriously! Besides becoming more relaxed with cooking and cleaning, I go to yoga twice a week — it’s such a stress-reliever. Stress management tip: Deep breathing. Yes, it does work to relieve stress. I loved the tips! What else is helping me fight stress is listening to my songs. That relaxes me too much! It’s OK to ask for help if you need it. I believe that working out regularly is one of the best ways to relax your body and mind. Spend 10-15 min a day or more meditating. Don’t try to take on too much. My stress management tip is to manage your time well. Always find time for yourself and something that relaxes you. You’ll actually be more efficient with what you have to get done. I put a little lavender essential oil in my diffuser and curl up on the couch with a blanket and a good book. A hike does it for me. Put headphones on and listen to some relaxing music. Talking to a trust friend about what’s causing stress. It won’t remove the cause, but it helps take it out of your head. I listen to calm music, and also watch a funny uplifting movie. Take a quiet moment every morning just to be, before the madness begins. Taking a little time during the day to do something pleasant like reading or watching a favorite tv show helps me with stress. I find that exercise helps alleviate stress. Dark chocolate and a glass of port! Surround yourself with support people! Thank you, I can put these tips to practice. I write everything I need to do on a list that I can check off and see my progress. Meditation or walking everyday helps out a lot! You are not alone! A good network of families with children of the same age can help. You can split up drop-off and pick-ups and have set play dates to free up some time. And, get enough sleep! I would take my kids for an outing on Sunday afternoon to let my wife get a nap for a few hours- it meant a lot to her. Have some alone time, get rest. For me it is doing crossword puzzles. For some reason this relaxes me and I only focus on the puzzle at hand. i just try to make sure i eat on a schedule even if i am not hungry. A nice hot bubble bath always helps me relax! I just sit back in the lazy boy chair and cover my eyes. Deep breath, something nice to smell and sit somewhere quiet! Meditate and make time for yourself. Deep down, stress is a self inflicted fear that we are not enough. Realize that you are doing the very best you can and allow yourself compassion that you would give to any other person. exercise is my favorite way to relieve stress. while i am working out i think about nothing but the workout and it helps me a lot. I walk my dogs in the park. I remind myself that I make more mistakes when I panic. I tell myself to not respond right away, to ask for a little time. I try to meditate, work out and make time for my husband and I to vent about our days. Going on a relaxing drive somewhere with no traffic is a great way to de-stress. When things start to feel stressful, I find it helpful to take some time for self-discovery. Considering the emotions and thoughts that helped create the current situation and then working to fix them brings relief and clarity. Laughter… laughter helps so much! As part of self-care, I make sure to incorporate plenty of what makes me laugh. One of those things is playing with my hilarious kitty. I have my cat get on my lap and I pet her and listen to her purr. This usually relieves some stress. My best tip is doing guided meditations! It helps SO much! I sit down and tense up my whole body. Then I let go and totally relax every muscle in my body, especially my shoulders. Then I breathe through my nose, hold it for 5 seconds then exhale slowly. I do that about 10 times and feel relaxed when I’m done. The best way to manage stress for me is to just…let it go! I tend to obsess over every little thing, and it drives me nuts! A HOT BATH, (WITH THE DOOR CLOSED,ABSOLUTELY ESSENTIAL), CANDLES AND MUSIC WORK FOR ME EVERYTIME! yoga or even stretching is great. Slow deep breathing works too. I took up hobbies like crochet and gardening. I manage my stress by keeping busy and not getting into the same routine. I take long walks listening to music! My tip is to go on a nature walk to reduce stress. Meditation is always a good way to relieve some stress. One stress management tip is to listen to some fun music for a little while to relax. Drink lots of water, and make sure you have an ergonomic work setup. For quick stress relief, breathe in through your nose, out through your mouth. Restorative/Yin Yoga~ It is a lifesaver! I work in a nursing home and it can get very stressful. We have to walk away from time to time and destress. I escape stress by putting my nose in a book. I breath deep and count to ten. great stress management is meditation, or listening to music. Also watching a funny show that makes you laugh work wonder. I like a hot bath with aromatherapy. I use a vanilla/patchouli skin cream and snuggle under a soft blanket. Breath in that is one, breath out this is two. A stress management tip I practice is to take time at least 4 times a week to work out away from the house. When I’m stressed, I listen to music that calms me. It varies depending on my overall mood, but movie music usually works for me personally! One thing I do when I’m stressed is…I tackle a smaller task that has been waiting for me to get to it for awhile. It might be a stack of papers that I’ve been meaning to sort, or a junk drawer that needs organizing, or even a pair of pants that need something as simple as a button sewn back on. Small tasks, but I feel great when they are done & it’s one less thing on my to-do list. One of my stress management tips is to take time out of every day to have some quiet time to myself. This helps me relax a bit and have some peace. Taking a long warm and detoxing salt bath! Art is a huge stress reliever for me. As long as I can get a little time to myself to paint, craft, color etc I’m pretty stress-free. Give yourself that “me time”. When I’m stressed I like to sip on a glass of water and take a walk. I think it’s great. I think a good work out routine helps me a lot and I always feel bad when I don’t do one. I always sit down, relax and think things through slowly. One of my favorite ways to manage stress is to go for a long walk and take in all the beautiful nature around me. I also love to take photos so my walks always include my camera. Make time for yourself and do whatever your mind tell to do! Having to go to work every day stresses me out so I try to limit my to do list otherwise. If it is not important, do not do it. Go to the library, ask the librarian to surprise you with a random book, check it out, and read it. My tip is to do aerobic exercise every day to fight stress. Working out! I work out to release all my stress every morning, and the rest of the day is a breeze… when I don’t work out, I am so much for stressed! Walk away from the stressful situation and take a breath! I usually try to count to 10 before I react to a situation. I try to avoid stress by not allowing the stress to become bigger than my strengths. Add turmeric to your tea to assist in clearing your mind. Try meditating or going to yoga. They are both so helpful to me to reduce stress in general. I manage stress by taking pills, smoking cigarettes, not anything good… sometimes I exercise, sometimes sleep. Work out for 20 minutes to high energy dance music or take a vigorous 20 minute walk. Go for a walk, then read a good book. One of my stress management tips is to listen to music and take a shower. When I get stressed, I like to take a bath and then drink a cup of tea. I have found that having a routine/schedule really helps minimize my stress! Walk away and come back to it later. I like to go for a walk or read a book. My advice would be to slow down and breathe for a little bit, it normally helps. When I’m stressed out I relax with a good book in a quiet room. Deep breathe and say a prayer. Set aside time for productive hobbies. I close my eyes and take several deep and slow breaths. When I’m stress level back to see if things are worth getting stressed over and most of the time there not so I get calm and start over. I find that exercising and moving daily helps me feel much better and relieve some stress. I have started diffusing anxiety relieving essential oils in my home as well as using soft lighting instead of harsh overhead lights. This has made a world of difference! I love to meditate! It helps! take 15 mins of me time daily here and there…..i.e. take a walk, have a cuppa tea, meditate, etc. I think a little “me time” always helps. To relieve stress, I exercise! Get out and enjoy nature more is my stress tip for the day. Drink a cup of tea & read a book. Close your eyes… Take 3 deep breathes and release. My favorite stress management strategy is to take a brisk 15-20 minute walk; gets your blood pumping, and helps clear your mind , allows you time to refocus your thoughts. I must be weird because I manage my stress by cleaning/organizing. I find that if my home is clean/organized, my mind it too. Tip I like is Try Relaxation Techniques. i’ve been using adult coloring books! i lock myself in a room by myself and just take a few minutes. focusing on the details really helps me calm down. I soak in epsom salt and I read a great book. I have certain things I can do to bring my stress level down. Writing, reading, puzzles. 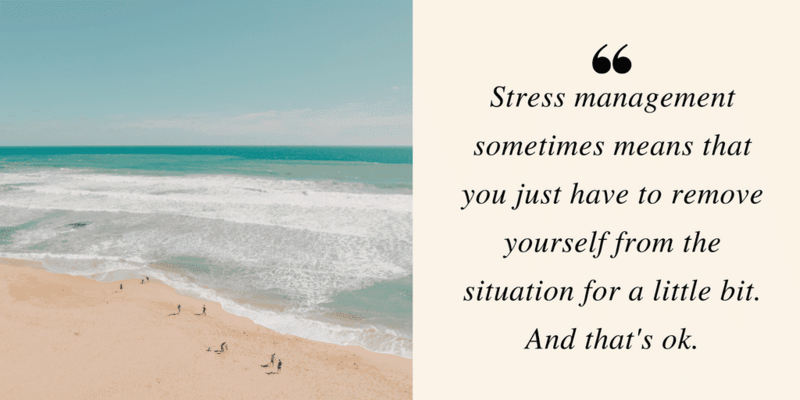 I always assure myself, if I am in a situation that is stressful, that as soon as possible, i will go and do a destresser activity. A good book is the best stress relief! Lose yourself in a good book…even if it’s 15 minutes of reading time…that little bit can definitely help! Exercise helps me a lot. I also reserve time to read or watch a good movie. Take time for yourself every day even if it’s only 15 minutes.